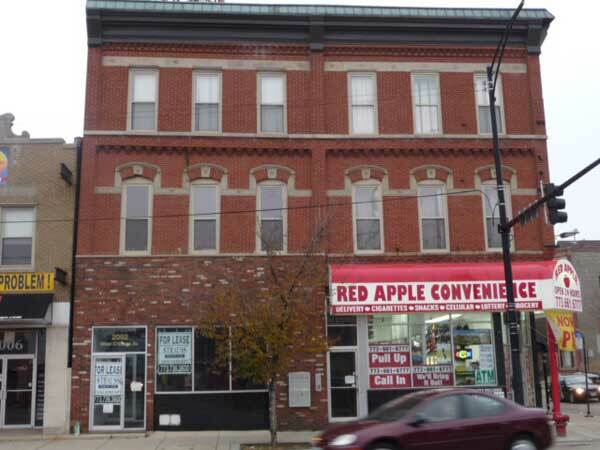 Neighbors of Red Apple Convenience planned to meet Tuesday with 32nd Ward staffers about the store at 2000 W. Chicago Ave. seeking a liquor license. Move N Pick Convenience Inc. applied for a package-goods license Feb. 15, according to the city Business Affairs & Consumer Protection department, which starts the clock on 40 days to file objections. Ward outreach director Elizabeth Gomez is facilitating the meeting, set for 6 pm at 2657 N. Clybourn Ave. It is unclear if owner Irar Sweiss will be invited. Successful license protests indicate a potentially "deleterious impact" on the neighborhood. That would mean problems with parking, loitering, littering, noise, crime or property values. Earlier, neighbor Suzanne Wahl had complained to Gomez that curb service at the convenience store was interfering with corner bus stops. Wahl is circulating a flier on the ward meeting.